Resuming his submissions on behalf of the Central Vigilance Commission (CVC), Solicitor General Tushar Mehta advanced that on a conjoined reading of section 8(1)(b) of the CVC Act of 2003 with its Section 8(2), the question for the court’s consideration would be whether a person who is a member of the IPS, on becoming the CBI Director, would cease to be a part of the All-India Services and consequently, not be amenable to the CVC Act. “Before Vineet narain, either under the Police Act or under the DSPE, the CBI director was not considered to be an officer who would not be subject to the IPS rules. And even in the 1997 judgment, it is nowhere said that the IPS rules would not apply to him; only a minimum tenure of two years is guaranteed”, he insisted. He pointed out that the Apex Court direction in the 1997 Jain Hawala case that the Central government shall take all measures to ensure that the CBI functions effectively and efficiently and be viewed as a non partisan agency continues till date. “Is the only reason for which the apex court saw it necessary for the CBI Director to have a minimum tenure of two years, regardless of the date of his superannuation was to ensure that an officer suitable in all respects is not ignored merely because he has less than two years to superannuate from the date of his appointment?”, Chief Justice Ranjan Gogoi wanted to know. “As a law officer, my answer would be that this is the prime reason. Another factor could be to allow him a decent period of time to implement his plans and policies”, replied the SG. “The idea is to give him some permanence, to ensure that he is not around for too short a period”, supplemented the Chief Justice. The SG added that so far as section 4B of the DSPE Act envisages the previous consent of the Selection Committee even where the Director is required to be transferred to take up a more important assignment, it was to prevent him from being “transferred at whims and fancies, for intravenous reasons”. “The CVC came to a conclusion that extraordinary circumstances have emerged where the incumbent need not be transferred because the allegations against him and the counter allegations are yet to be examined, but he cannot continue to operate in his post, which would defeat the purpose of inquiry. In this case, what happened was not ‘discharge’, it was lesser than a ‘transfer’”, urged Mr. Mehta. “The factors that prompted the CVC to take the decision of October 23 did not happen overnight. If you had tolerated them since July, then what the reason for this immediate action suddenly without which the institution would have crumbled and fallen?”, inquired the Chief Justice. That the situation warranted an emergent action was the SG’s response. Continuing, he drew the bench’s attention to Sections 4(1)(3) and 4A(3) of the DSPE, laying down that the officer placed by the Central government at the helm of the administration of the CBI shall be equivalent to the post of the Inspector-General of Police in context of the police force of a state and that such officer shall be chosen from a panel of IPS officers, to stress that the CBI Director continues to be a member of the IPS. “There is no difficulty in that. He doesn’t cease to be a member of the IPS”, conceded the Chief Justice. “So he continues to be subject to the IPS rules, except on two accounts as envisaged by Your Lordships in Vineet Narain and as intended by the Legislature- one, superannuation and two, transfer or deputation in the course of his fixed term of two years...Transfer’ would involve divesting him of his functions and placing him somewhere else; it is a permanent act. Such an action would need the consent of the Selection committee”, elaborated the SG. “The long and short of it is that so far as section 4B(1) stipulates that the CBI Director has a two-year tenure notwithstanding the rules of his conditions of service, it is limited to his retirement. The rules of service continue to be intact in all other matters”, summarized the Chief Justice. “The non-obstante clause in section 4B is only in context of superannuation and a transfer or deputation to another cadre during the fixed term of 2 years. For his pay and pension, he would be governed by the All-India service rules, as he would for his retirement after the two year tenure and for any disciplinary proceedings”, repeated the SG. Moving on to discuss the connotation of the power of “superintendence” exercisable by the CVC under section 4(1) of the DSPE Act and section 8(1)(a) of the CVC Act, in pursuance of which the institution is entitled to issue directions to the CBI under section 8(1)(b) of the CVC Act, the SG suggested that there has to be some way of dealing with a situation not envisaged by statute. “Extraordinary situations do need extraordinary remedies”, insisted the SG. “The power of superintendence of the CVC has to be understood as confined to 4(1) (of the DSPE Act). Can section 8 (of the CVC Act) go beyond 4(1)?”, asked the Chief Justice. Mr. Mehta replied in the negative. “By the order of the CVC of October 23, what is the direction given?”, was the Chief Justice’s next question. “The commission, after a serious and due consideration of all facts and circumstances and bearing in mind the pendency of inquiry against him, directed that Verma is divested of the charge of the CBI and shall not exercise any functions and powers or even a supervisory role in respect of cases registered or to be registered or to be investigated by the CBI under the Prevention of Corruption Act till this interim measure is modified or vacated. Due process of law in compliance with natural justice was assured to be followed in the inquiry...The Order (of divestiture) was passed for both (Verma and CBI Special Director Rakesh Asthana). For Asthana, the order fell under section 8(1)(d) (of the CVC Act), which deals with suo motu inquiries, and for Verma, the direction was passed under section 8(1)(b)...”, narrated the SG. “Those who should be investigating offences are themselves causing raids to be made against each other! two FIRs are registered! The justification for the order is in the order itself!”, he continued. “This jurisdiction is not only vested in the CVC but it would have been a dereliction of duty on its part if it was not done. The CVC would have been answerable to the President and the Parliament, and even to Your Lordships if someone had petitioned against the body for being a mute spectator”, he repeated. “The CVC needed to take some urgent action, lesser in gravity than suspension or transfer, so this interim order was passed. It is the Central government which will decide on suspension or transfer after perusing the findings of the inquiry...A ‘Transfer’ would encompass divesting of powers at place ‘A’ and investing them in the same person at place ‘B’. Also, it is a permanent thing...”, he submitted. “...by the hand from which and the hand to which something is to be transferred i.e. to say transfer must carry with it ‘from’ and ‘to’. If either is wanting, there can be no transfer”, he quoted. Further, he explained that the Superintendence of the CVC over the CBI is exercised through specified modes including, inter alia, monitoring of complaints against officers of the CBI, and monthly review meets with the CBI director. “The complaints are received by the CVC on a regular basis. We place annual reports containing a separate section on the CBI to the President. It is not like the CVC is now looking for provisions to justify its action”, he concluded. 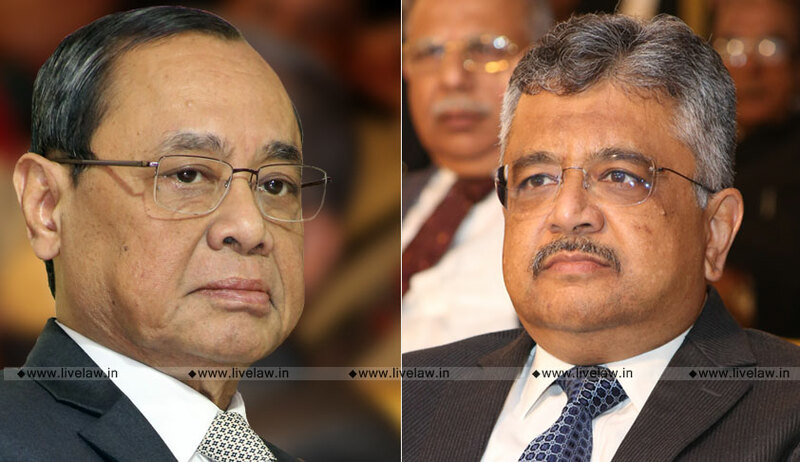 Thereafter, Attorney General K. K. Venugopal iterated that it is a “highly artificial argument” on the part of the petitioners to say that Verma has been “transferred”. “The petitioners want to attract section 4B by virtue of which Your Lordship (the Chief Justice) is expected to sit with the Prime Minister and the Leader of Opposition to convey the consent for the purported transfer...if we were to place the proposal for Verma’s divestiture before the Selection Committee, it would ask, ‘why is this before us? how is this even a transfer?’...The committee would want us to read down the act from ‘suspension’ and to convert it into a ‘transfer’”, he argued. Indicating section 16 of the General Clauses Act, which reads the power to suspend or dismiss into the power to appoint, it was submitted that so far as the DSPE and the CVC Acts are concerned, there is no power of suspension. Further, Article 367 of the Constitution speaks of the application of the General Clauses Act in the interpretation of any Act of the Legislature. “It is only the appointing authority that can remove the Director...Please look at the order of the Central government- it divests Verma of his powers, functions and responsibilities as the CBI Director with immediate effect until further orders. As per the General Clauses Act, Verma has been suspended. The consequences of suspension are the same as here”, the AG contended. “Section 4B(2) was inserted with an objective akin to that contemplated by Your Lordships in Prakash Singh (2006) and T. S. R. Subramanian (2013)- to protect the topmost officials from being frequently transferred by the political wing of the state, to avoid any vulnerability to their independence”, he rested his case. Next, ASG P. S. Narasimha also made a brief submission on whether the CBI Director could be said to have been ‘transferred’. He indicated Rule 7(c)(iii) of the IPS (Cadre) Rules of 1954, which restrains an officer with a prescribed minimum tenure from being transferred except on the recommendation of a ‘Committee on Minimum Tenure’. “This Rule is only confined to a transfer simplicitor, not to a transfer which is disciplinary action. So the transfer in the present case is different...”, was his case. When Senior Counsel Mukul Rohatgi sought to argue on Asthana’s behalf, the bench was initially reluctant to hear him, the issue dealt with at present being only of the jurisdiction of the Central government and the CVC to send The CBI Director and Special Director on leave. “The Central government will retain power over the employees subject to the exceptions of appointment, the security of tenure for 2 years and transfer. The rules are only eclipsed in respect of these three, all other things, such as suspension, departmental enquiry and dismissal, being covered by the employer-employee relationship”, asserted Mr. Rohatgi. “In the absence of specific provisions, is it possible to understand that a similar power is expressly conferred? You are saying that section 4(2) (of the DSPE Act), the Centre will still have the disciplinary power?”, confirmed the Chief Justice. When Mr. Rohatgi responded in the affirmative, Chief Justice Gogoi remarked, “we have noted your statement as an officer of the court”. After the petitioners and the intervenors closed their rejoinder arguments, the bench, also comprising Justice S. K. Kaul and Justice KM Joseph reserved its verdict on Thursday.